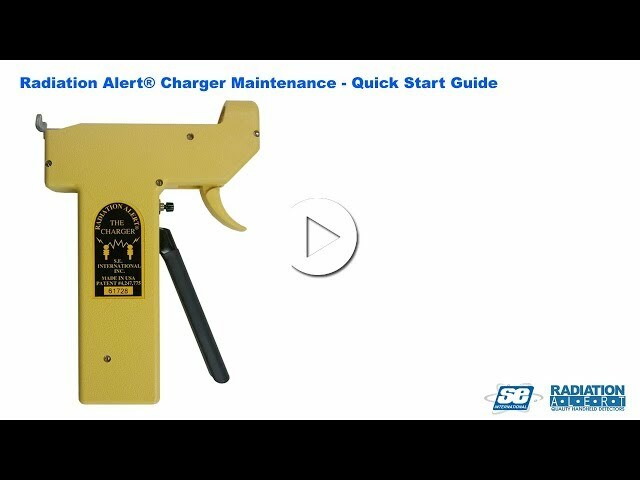 How to Use the Radiation Alert® Dosimeter Charger - Radiation Detectors, Radiation Detection Equipment | Radiation Alert® by S.E. International, Inc. The Radiation Alert Dosimeter Charger Maintenance Guide will help you stop the drift you might experience with the dosimeters that you are charging in the radiation pen dosimeter charger. This will show you how to clean the contacts to prevent it. Easily charge any number of pens without the need for batteries. The patented, handheld Charger can charge a variety of direct-reading dosimeters by simply squeezing the lever of the generator. By pulling a trigger, a dosimeter is easily placed in or removed from the clamping action in the charger that holds the dosimeter securely for you. NSN# 6665-00-856-8813 – CD V-750 Model 6. The piezo electric charger keeps your dosimeters ready to go.